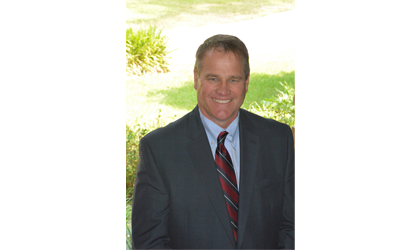 Johnny Blue Craig of Craig Commercial Realty is recognized as one of Tallahassee's top commercial realtors serving the North Florida area in the sale and lease of commercial real estate properties for 30+ years. Accumulating over $300 Million in sales, Johnny Blue Craig, President/Broker, has been a force in commercial Real Estate since 1980. His sales achievements have earned him the distinguished award of Top Producer for the Tallahassee Board of REALTORS on numerous occasions and he has been consistently recognized as a Multi-million Dollar Producer. In 1996, Johnny Blue added to his banking and finance experience by joining the Board of Directors for Sun Trust Bank. Jeff Billingsley has been a consistent top producer in the commercial real estate business since graduating with a Bachelor of Science in Real Estate from The Florida State University Business School in 2003. Jeff Billingsley serves as a business resource to his clients in creating, and implementing plans to market commercial properties. In addition, he also provides services to tenants and buyers in representing their best interests in complicated real estate transactions. His experience has allowed him to successfully represent clients before the Division of State Lands, and the Florida Cabinet. Jeff Billingsley goes above and beyond to see that his client’s needs are met. His long list of satisfied clients include such well respected companies as: The Florida Education Association, The Boy Scouts of America, Bruegger’s, Bellsouth, Associated Industries of Florida and many more. A collegiate athlete, Johnny Blue experienced tremendous success in baseball, winning the FSCAA Student Athlete of the Year Award for all sports in the state of Florida, Mid-Florida Conference Student athlete of the year, and the Prestigious Tuten award for the state of Florida. He was also inducted into the St. Johns River State College Hall of Fame. Steller in academics, Johnny Blue is a 4.0 student. Currently in Business Management at FSU, Johnny Blue is active in the business community. He has been counseled in by CEO and billionaire Roger Barnett of Shaklee Corporation, hired by the Budget Hawks to fight the City of Tallahassee’s proposed 23% property tax increase, creation of Craig Commercial Realty’s revamped website, and the recent marketing strategy of a 1.3 million dollar investment package within his first week of licensure. Since 2004, Susanna has been responsible for the day to day smooth operations at Craig Commercial. She handles marketing and accounting duties on behalf of Craig Commercial. Her diligence and expertise ensure that the office is operating efficiently. Before coming to work at Craig Commercial, Susanna was an Administrative Assistant to the Senior Pastor at Celebration Baptist Church for ten years. In addition, Susanna has personally managed the construction of four personal residences, one in Tallahassee and three in Amelia Island Plantation. Susanna is a licensed real estate agent in the State of Florida. April Craig lends her creativity in building renovations, publicity and advertising. Proud to be an FSU graduate in Communications/Business she has held an active real estate license since 1988. She has also held a multi state securities license and lobbied for a state wide non-profit political organization. Politically, she also ran a campaign and was a spokesperson. During previous years she also co-hosted a radio talk show and organized city wide events. After homeschooling her three children for 8 years, April has now returned full time to Craig Commercial Realty to participate in the areas of promotion, photography and advertising.